With a population of more than 18 million, Delhi can be a somewhat intimidating city. Its chaotic centre is fast-paced, loud, and an assault on the senses. But if you give the city a chance, you’ll unlock some of India’s most treasured sights and experiences. Delhi is home to the world’s largest Hindu temple, and the country’s largest mosque, as well as delicious food and inspiring architecture. 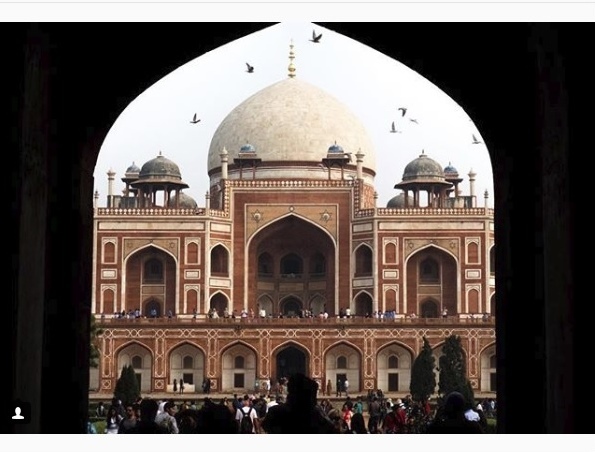 In this article, we’ll look at the highlights of spending a day in Delhi on your holiday to India. During her many travels, Barbara has found time to visit India twice for extended visits. “My first trip was to Mumbai, Goa and Madhya Pradesh in the centre of the country, where I stayed with a local family,” said Barbara. “My visit to Delhi occurred during my most recent trip (October to early December 2016), during which I also travelled solo to Agra, Varanasi, Sarnath and Bodh Gaya. This ancient fort can be found in the chaotic heart of Delhi. The Red Fort was once the main residence of the emperors of the Mughal dynasty, which ruled for nearly 200 years until 1856. 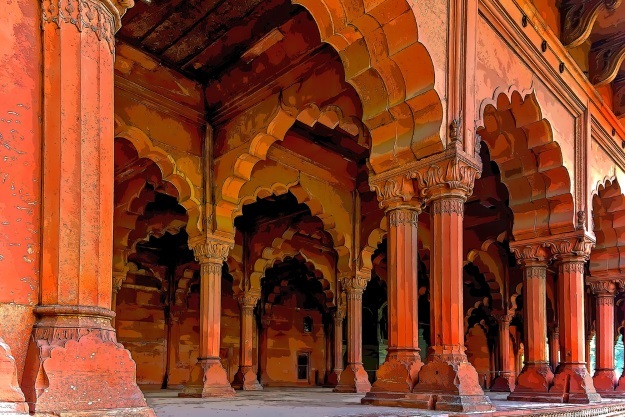 Built by the fifth Mughal Emperor Shah Jahan, the Red Fort dates back to 1639, and is renowned for its distinctive red sandstone walls. Its design is considered innovative, with a beautiful garden and intricate stonework. 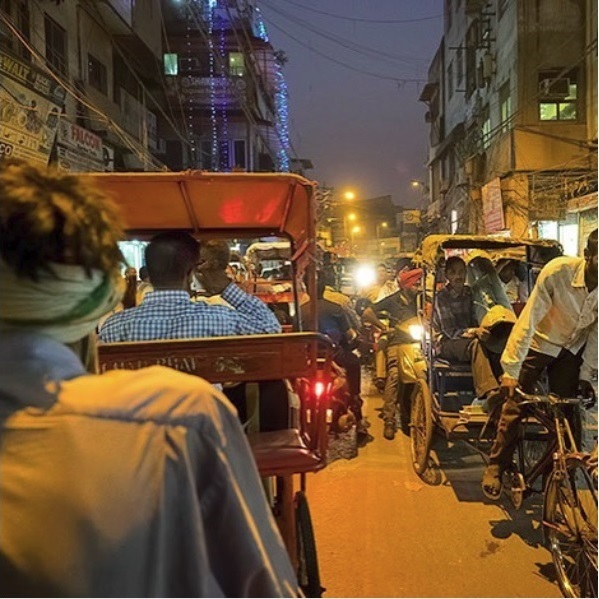 You might not immediately think of serene UNESCO World Heritage Sites when picturing Delhi, but this frantic city has so much to offer by way of history. 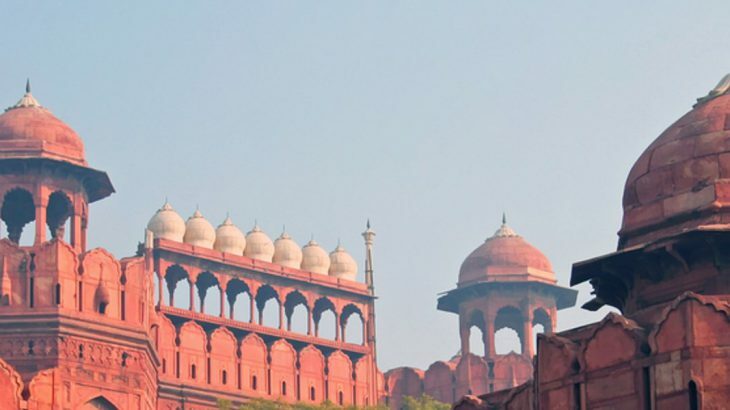 On a tour of India, you’ll get the chance to roam through the Red Fort and learn more about its fascinating past. 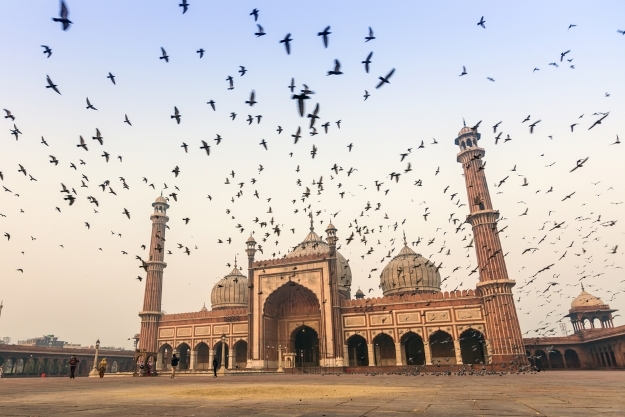 Another of Delhi’s most famous landmarks is undoubtedly the Jama Masjid. Also built by Mughal Emperor Shah Jahan, or rather his 5,000 workers, this ornate structure cost 1 million rupees to create, between 1644 and 1656. Considered to be one of India’s most beautiful mosques (and the largest), the Jama Masjid features four imposing towers and three great gates, as well as a grand courtyard which is said to be able to accommodate up to 25,000 visitors. The mosque is truly a sight to behold, and a worthy stop on your day in Delhi. 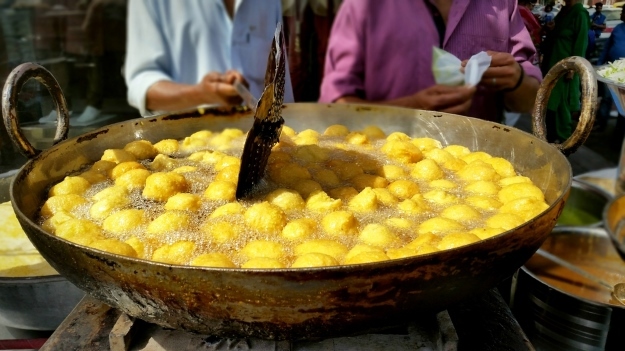 The Chandni Chowk, or Moonlight Square, is one of Delhi’s oldest and busiest markets. 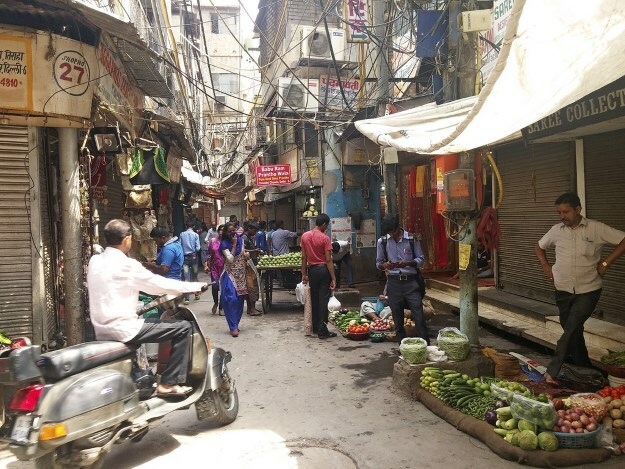 Dating back to the founding of the capital city of Shahjahanabad, during the reign of Emperor Shah Jahan, the market is now one of the most famous in India. The Red For is located within the 17th century market. Chandni Chowk was designed by Princess Jahanara Begum, the emperor’s daughter, and originally held more than 1,500 shops, which were built in a half-moon shaped pattern. Although the structure of the market has changed dramatically over the years, it still draws thousands of visitors. Authentic Indian food, sweets and delicacies can be found here, as well as traditional clothes, books and fabrics. A trip to Chandni Chowk is not only worthwhile for shoppers, but also for history enthusiasts who can roam where emperors once did. Originally named the All India War Memorial, India Gate is a commemorative structure on the eastern edge of New Delhi. The memorial is dedicated to 70,000 soldiers of the British Indian Army who died during 1914-1921, during the First World War. In total, 13,000 servicemen’s names are etched onto the memorial, which is seen by many to echo the style of Paris’ Arc de Triomphe and the Arch of Constantine in Rome. In the main commercial area of the new city, New Delhi, Connaught Place a hub of shops, boutiques and restaurants. Named after British Royal Family member Prince Arthur, the 1st Duke of Connaught and Strathearn, the market was built between 1929 and 1933, and remains a tourist hotspot. Over the years, many businesses moved into Connaught Place, including cinemas, theatres and restaurants, serving a range of delicious Indian cuisine. Eventually, international businesses appeared in the market, and quickly became a commercial centre. Today, although much of the building has changed, Connaught Place continues to draw crowds. Ellie, originally a Londoner and now a full-time traveller, explores the world with her partner Ravi. She documents her experiences on Soul Travel Blog, with a focus on mindful and positive-impact travel. “I first fell in love with India in real life in 2015,” said Ellie, “but I’d dreamed about visiting India for as long as I can remember. Since 2015, I’ve spent about a year travelling here in total, both solo and together with my partner (who is from Mumbai). “Delhi tends to get bad press, for its air quality, pollution and safety for women. And these concerns are certainly justified to some extent, but it is possible to travel safely to Delhi, if precautions are heeded. Most Delhi-ites I’ve met are extremely friendly people. 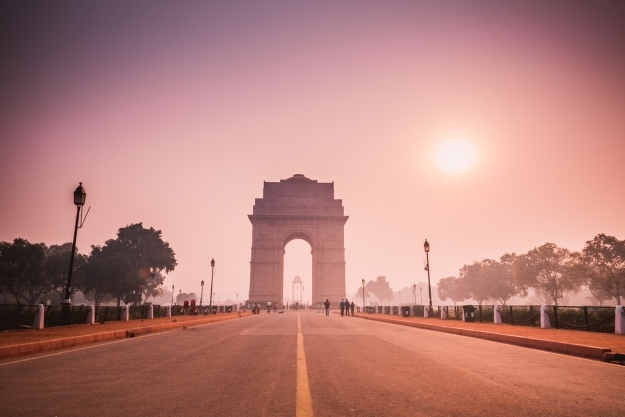 If our guide to Delhi has inspired you to get out of your comfort zone, take a look at our holidays to India to start planning your adventure. Book an escorted tour to India with the UK’s leading Asia Experts, Wendy Wu Tours. Alternatively, work with our tailormade team to create your dream India holiday. Whichever you choose, we can guarantee you an unforgettable trip. We also have tours to Southeast Asia, China, Japan and South America. India culture, history, sightseeing, top things to see. permalink.